The Career Development Center (CDC) offers programs, services and appointments in areas convenient to your students. Divisional (Social Sciences, Natural Sciences and Mathematics, Humanities and Fine Arts) career counselors and trained undergraduate fellows are in your academic spaces, connecting with students and faculty and providing tailored career exploration and preparation. CDC counselors present on a variety of topics including career exploration and job search skill development topics. We work with faculty to tailor offerings to best meet the needs of your class. Presentations range from a brief introduction on CDC services (5-10 minutes) to a full course meeting (or several). Facilitating discussions on topics including but not limited to: tailoring materials, addressing content and design questions and employment discrimination. What can I do with a B.A. 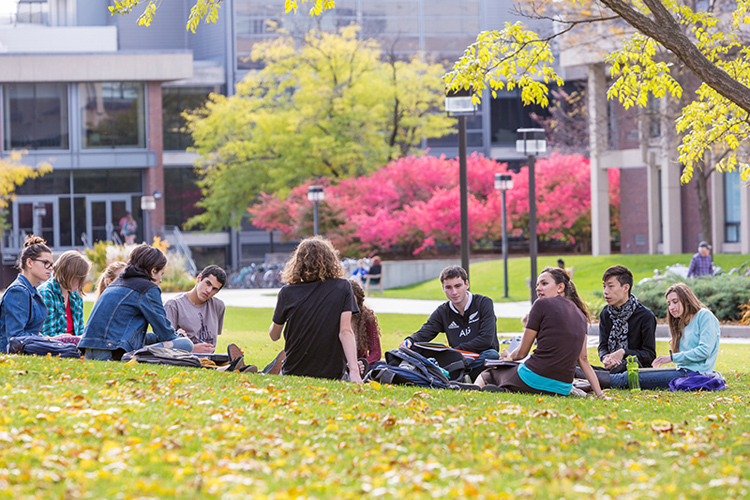 from Macalester, and a Major in___? Faculty and staff often refer students directly to career counseling staff. Counselors meet with students individually for single or ongoing appointments to discuss career-related concerns. Topics include but are not limited to: major selection, clarifying skills and interests, academic challenges, job search questions/concerns, graduate school planning. Individuals can also discuss major/career related stress, family concerns, questions about discrimination in the job search/workplace, and financial concerns. Students can schedule appointments via the CDC website by logging onto MC2. To refer a student directly, please email John Mountain. Please contact us to refer an employer. Been awhile since you searched for a job? Have a student with interests outside your expertise? Not sure how to help a student? The CDC can help. Career Development Center staff are trained to help the huge spectrum of interests and career aspirations of Macalester students and alumni. You are welcome to consult with individual CDC staff directly, or email John Mountain to discuss your needs. The CDC collaborates with diverse campus departments and student organizations to offer career exploration and planning events. Please contact John Mountain to inquire on collaborations.